A fireplace is often the focal point of a living room. I'm frequently asked about how to decorate the mantel. It usually requires one larger item, like artwork or a mirror to ground the whole area. Then from there it's all about experimenting with different heights and objects to get the right balanced look. 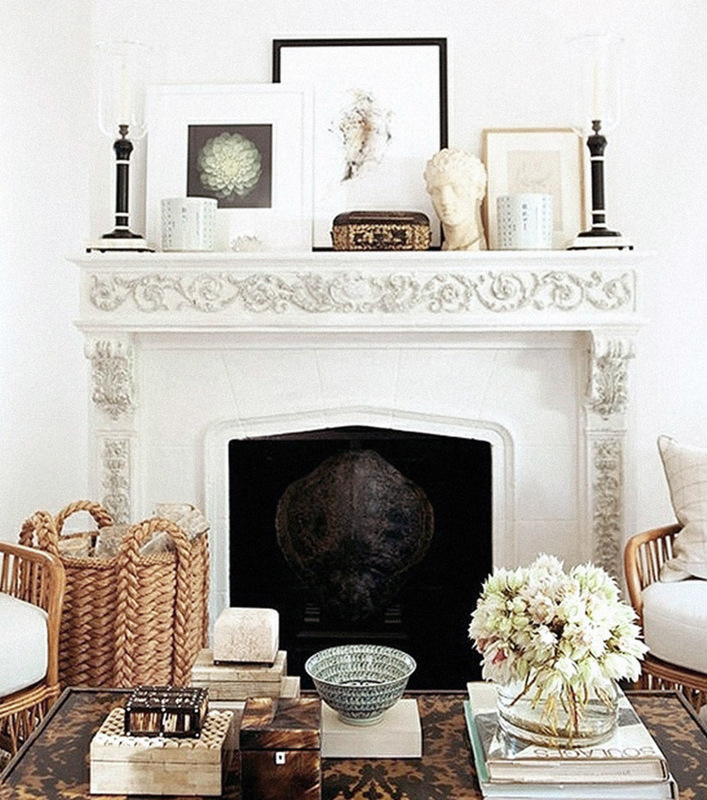 Some mantels are more layered with items, while others are a bit more sparse. 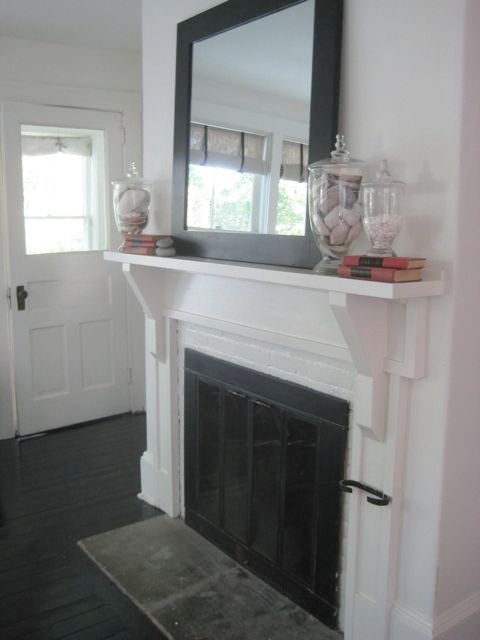 I always suggest checking some decor magazines, or looking online, for some inspiration of mantels you like and then try to recreate the look at your own house. Here is another of mine with a black mirror and some simple vases of shells and antique books. This mantel from House Beautiful has always caught my eye, it's simple yet pretty and colourful. Also interesting to see a round mirror. 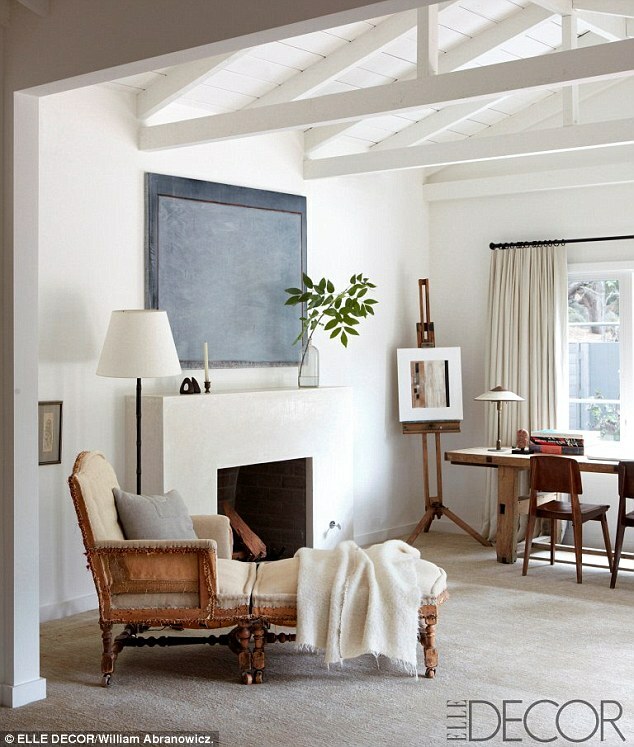 Another simple mantel from Elle Decor that looks great. This kind of looks like a chalkboard to me above the mantel but it may be art. A more layered approach with a few pieces of art.